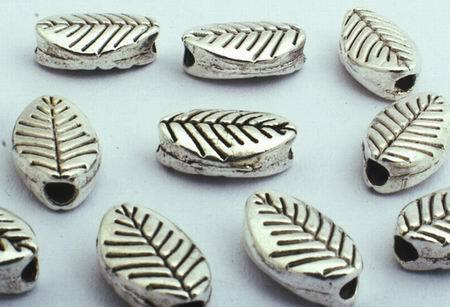 40 Fine Small Silver Leaf Spacers - For Classy Jewellery! Price is per 40 of these beautiful spacers - each measures 9mm x 6mm x 4mm. Polished silver - not actual silver!